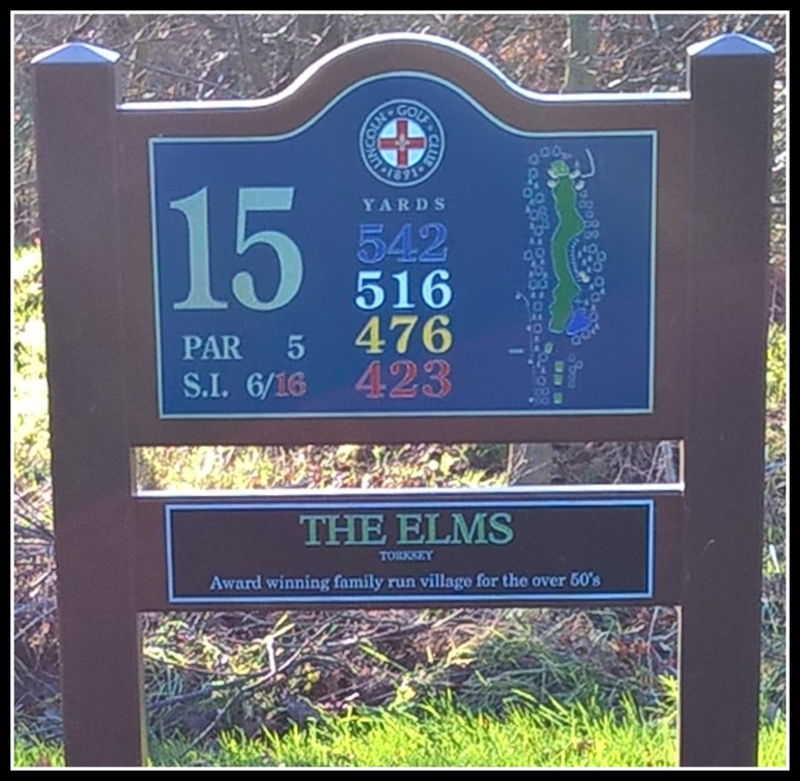 The Elms (John Kinch Grp). The 2nd of the par 5's off the white tees and the 4th off the reds, this hole has been extended recently to make it a challenge to all golfers. With the lake up the right hand side and the trees along the left it can look a very narrow landing area from the back tees. A good second shot should leave you with an approach to a well guarded, slightly elevated green with bunkers left and right but a relatively level putting area.